Tiff Teller is another software representative in the CoolUtils family with a simple interface and an even simpler main function allowing you to view number of pages in multiple PDF documents. This is a standalone utility and it is not bound to Adobe in any way. This program is great for those who deal with large PDF documents on a daily basis and has to count pages on the fly regularly. This program also detects corrupted files. Tiff Teller from CoolUtils enables you to process a large number of files in one go. 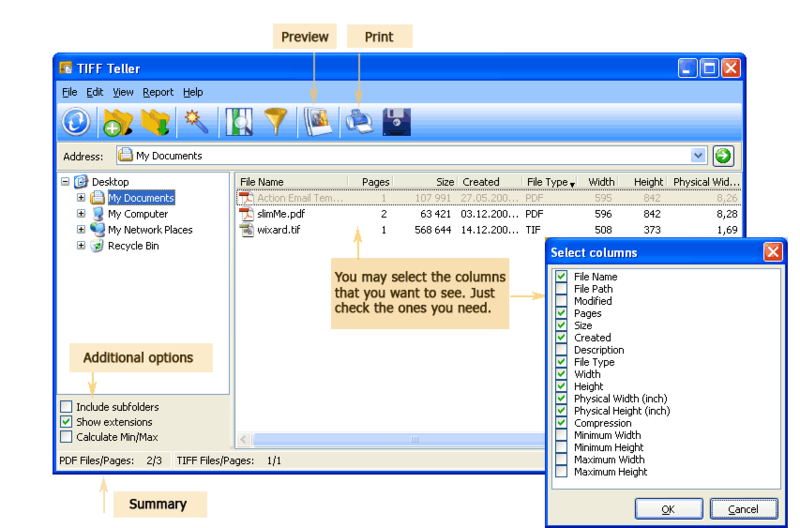 In order to do a page count in multi-page PDF files, you need to do a few steps. Tiff Teller is quite easy to use. Launch it and navigate the file tree. If you know where your PDF documents are located, you can easily find it in the tree. If you click on the folder, PDF files, if any, will be displayed in the right-hand panel. Here you can see file parameters, which also include page number. You can do a few operations with your PDF files using options, which you can see in the toolbar. For example, you can copy or move your selected file(s) to any folder using respective options. Also, you can tick columns, which stand for respective file parameters, so that they will be shown in the right-hand panel. These parameters include file name, file path, modification date, number of pages, file size, date of creation, description, PDF type, etc. Unticking column names will result in a column not being shown. 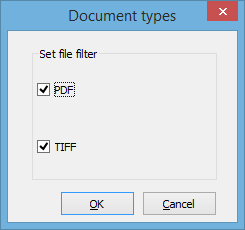 If you want the program to display both TIFF and PDF files, select File filter and make sure TIFF and PDF options are ticked. This program has an option, which allows you to export files either as CSV files or in tab delimited format. Command line option allows you to make a PDF page count even without launching the interface. Tiff Teller is available on our official website. 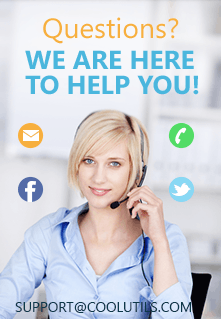 You can download the 30-day free demo version and test it. If you purchase the license version, it will be receiving updates for one year from purchase date.